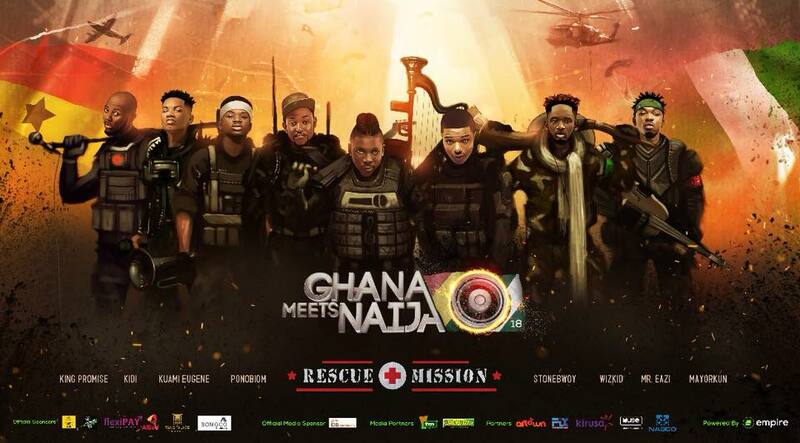 Ghana meets Naija releases the artist lineup.Empire Entertainment, organisers of Ghana Meets Naija concert announced the artists for this year’s edition. Furthermore, there are some changes in the list from last year’s bill. Moreover, Stonebwoy comes onto the bill to represent Ghana. He is the headliner. Also, Stonebwoy takes over as headline act from Ghana. Other performers include Patapaa, Fancy Gadam, King Promise, Kuami Eugene, Kidi and Yaa Pono. There was a press conference to officially launch the artist line-up for this year’s edition of the spectacular concert. Also, for Nigeria, the names include Mr Eazi, Wizkid and Mayorkun. However, other names could be added later. The 2018 edition of the concert comes off on Saturday, June 9th, at the Fantasy Dome of the Ghana International Trade Fair Centre.